Several members have contacts with local charities or national organisations, and make a variety of things that they ask for. 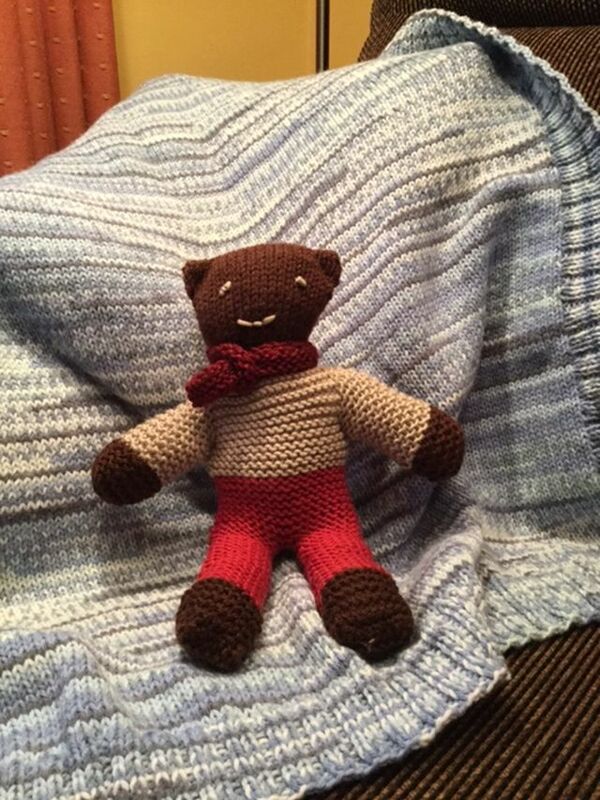 Some of these are a good introduction to knitting, crochet or machining and we are compiling a library of useful patterns to meet their needs. Our Monday evening meeting on the last Monday of the month is when we focus on knitting for charity, and we recently started a group meeting weekly in the cafe at the Clay Farm Centre on Tuesday mornings which has already produced many warm scarves, hats, a blanket and lots of teddies. 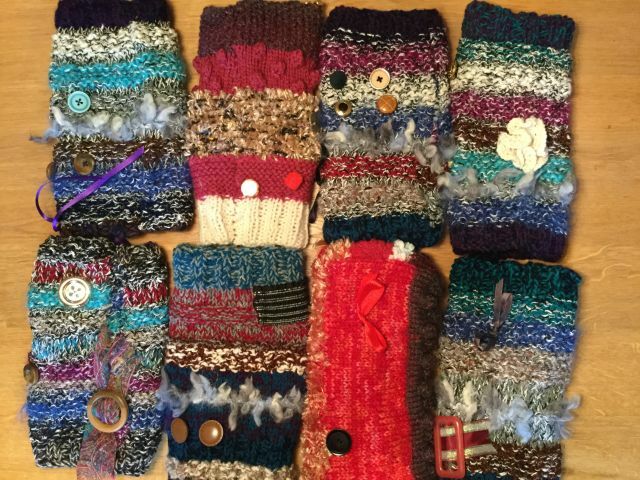 Carol writes “In between other projects, I make things for Knit for Peace, who send parcels to war and disaster zones, mainly for children but also for adults. Their website gives ideas, patterns and information about what is most needed at the moment, as well as details of where to send your donations. 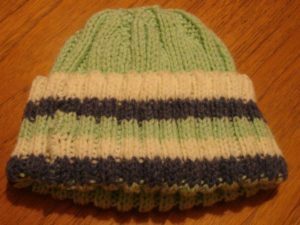 Philippa writes ” I was given this Knitting pattern for ribbed hat by my aunt who knitted dozens for the Mission to Seamen. I volunteer at Wintercomfort and find they are very popular with the clients there. Knitted squares are also a good way of using oddments of time and wool.